Advantages 1.Popular , hot sale stable and durable ,damproof and scratch-resistant, fireproof. 3.High and good in quality and reasonable and competitive in price. 4.Customers' design and logo are poplar. 6. On time shipping and short production phase. 2.Metal wrapped by nylon fabric. Steel tube frame structure with pedestal system. Frame/structure: By welding the rectangular square steel tube(60*40*2mm) as the tables support frame, all the steel surfaces are sprayed epoxy resin powder. 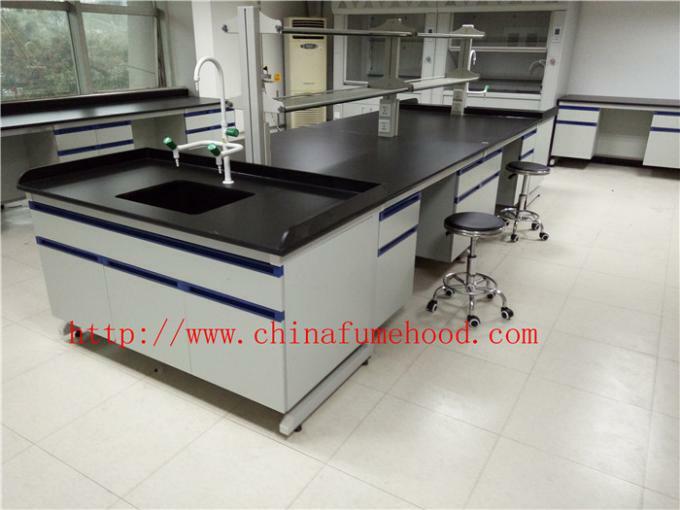 Worktops: 13mm thickness Phenolic Resin worktops (and other sorts countertops with different thickness to be selected: Epoxy Resin; Stainless Steel; Ceramic; Marble tops to fulfill your requirement), all the worktops with the performance of chemicals --resistant, acid and alkali--resistant, high temperature curing treatment, Abrasion, scratch and impact cutting resistant. Monolithic smooth, non-glare finish with 3mm bevel. 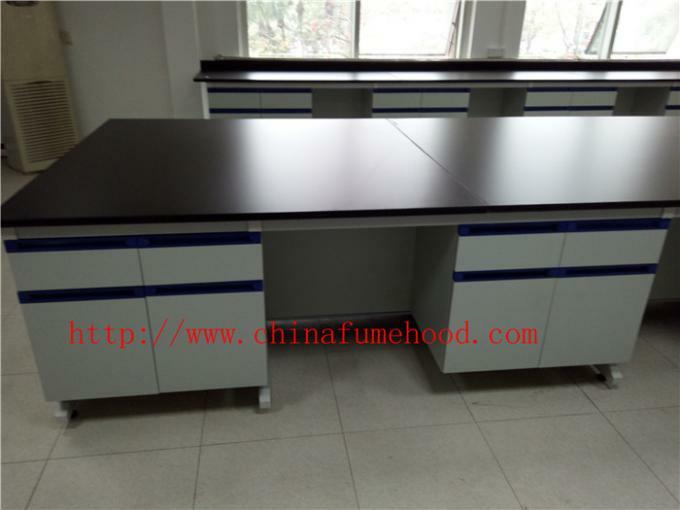 Cabinet body panels / Doors and drawers panel: All cabinets and drawers` body are used 1.2 mm thick of cold-rolled steel sheet to fabricate. 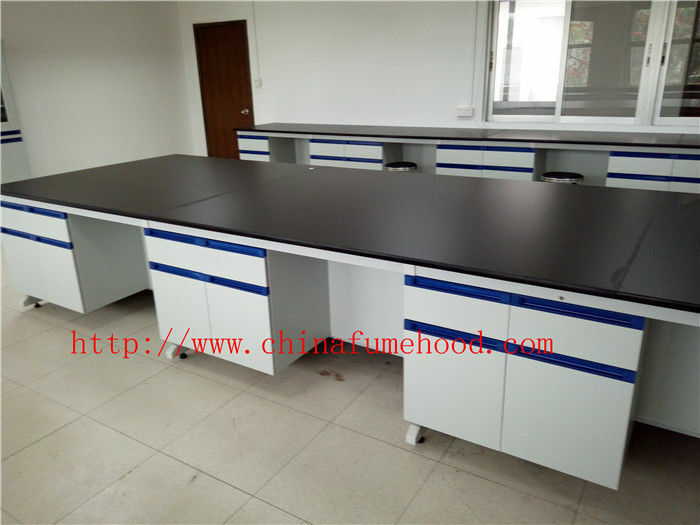 Surface treatment includes pickling and phosphorization and spraying epoxy resin powder...All the drawers and cabinets use the static powder baking varnish under a high--temperature situation to make sure no paint falling of and anti--rotten; Anti--oxidation; Acid and alkali--resistant. Slideway: Three section slide rail, it is noise-free while the drawer is being opened or closed. Hinge: 175 degree open type high quality hinge. Handle: High quality stainless steel and embedded aluminum alloy handle to be selected.